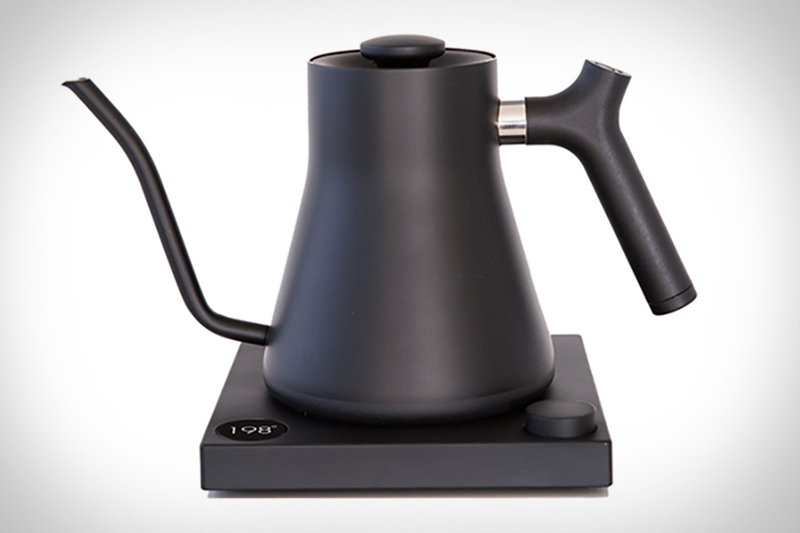 Staying true to their clean lines and minimalist design, Fellow takes their already exceptional kettle off of the stovetop and gives it a life of its own with Stagg EKG. Adding an electrical element makes way for variable temperature control, allowing you to choose your perfect temp ranging from 135F to 212F, while the hold option keeps your water hot for up to 30 minutes. A bluetooth upgrade lets you control and follow the process from your phone, as well as connects to your grinder and scale to help you master your brew for the perfect cup every time.